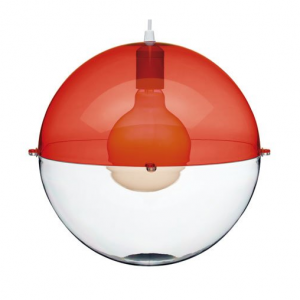 This red pendant light will bring warmth to any living space. 33 centimeters in diameter and made of translucent plastic. A hanging lamp that is both striking and inexpensive!